This next review has been kind of a difficult one to start because of how simple yet necessary of a product it is in this world of technology. 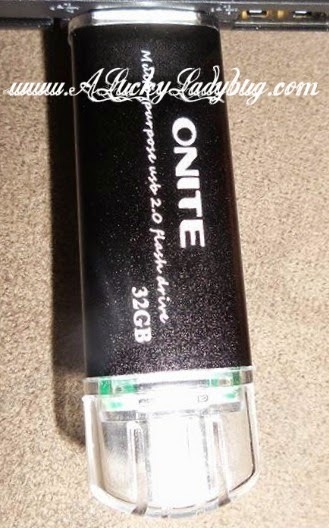 When Onite asked if I would review their 32GB OTG USB Flash Drive for Cell Phones and PCs, I knew it would be something that would come of use and be sort of a necessity to have on hand. Working with a huge variety of phones, tablets, and of course laptops, the Onite USB Flash Drive quickly transmits data wherever you need it and on the go. Holding a whopping 32GB of memory and measuring no bigger than a few inches long, you can take your most prizes files or something to keep the kids busy pretty much anywhere you need. The USB Flash Drive complies with USB 2.0 specifications, can be re-writable for one million times, plus stored for at least 10 years. At first when this arrived we weren't quite sure what we would use it for (we just knew we needed to have it on hand). But then, we decided it would be perfect to load several kids movies and games to it for the kids to take with them to Grandma's. The kids were thrilled they didn't have to cart a huge bag last weekend and Grandma was thrilled she didn't have to be completely tech savvy to use it. Plus, the kids keep busier while she does things around the house! Recommendation: $17 bucks might seem expensive for such a small gadget but so far it has done anything but disappoint. I am thrilled we decided to get this and have been considering a few more for things I might need or the college bound teenager. I'd definitely recommend having one on hand for yourself too! 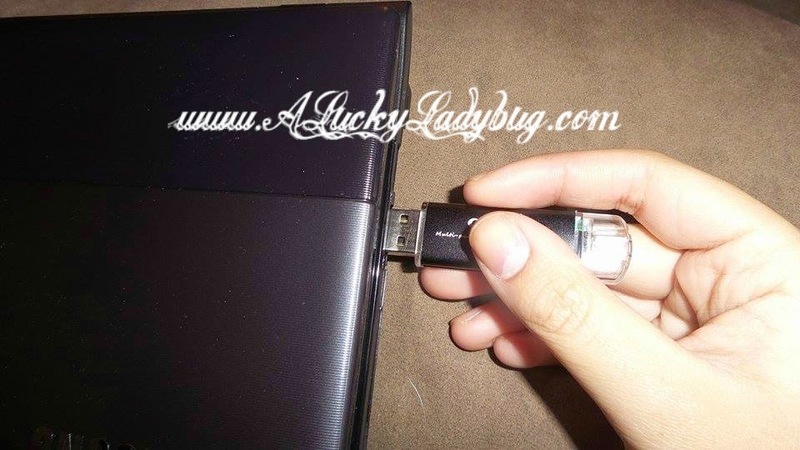 Giveaway: Onite is going to give one of A Lucky Ladybug's lucky readers a 32GB OTG USB Flash Drive to have of their own! I think I'd use it to transfer photos between my camera, phone, and PC. I am a photographer so for storing my photos, thanks so much for the chance! If I won this, I would use it to transfer photos to our electronic photo frame. I would use this to get my photos/documents off of my old laptop before it can no longer be used! I will most likely use it to store all my family and friend pictures! I would use it to back up all of my photos. I would use it to store my pictures on. I could use this to save papers and pictures. I would use this to save my school work on. I would use this for work. It would be great to have 32GB. I would use for a system backup of my OS and/or applications. I have a lot of applications! We use flash drives all the time in our household. We use it to hold photos or transfer projects from one computer to another. I will probably use this for all the photos I have, it would be nice to clear up some space on my computer. I would use this to import embroidery files from my computer to my embroidery machine. I would use the flash drive to store reports, notes, and presentations. I would use this to run Portable Apps. That way I have my email and browsers with me wherever I go. My father-in-law recently passed away so we are collecting pictures from everyone so all the distant relatives can have copies. Being able to pass around a flash drive might make it easier. I would use this to transfer files and photos between computers. I would give this to my little brother, he is always needing to transfer projects from one computer to another. I'd use this for photos! I have SO many! I would give this to my daughter. She is a film major in college and she could use this to store her films on. I think I would give this to my son. I am sure he would have a lot of uses for it in college. I would use it to store some family pictures on my pc. I would use it to back up and transfer my documents and pictures. I would use as a backup of all my photos. As a backup for all of my photos. I would use this to gift to my husband, he is all things tech-ie. Thanks! I would probably give it to my teen daughter who is in HS and always in need of a flash drive or to my adult son who is looking into going back to school to get his Masters. I'm sure he could use it as well. I would store my unread ebooks and some family pics. I'd give it to my husband. He is always transferring files and keeps losing his thumb drive. I would use it to store all of my data from my computer that I needed to move to another computer. I would use it to store photos, important documents, and recipes. I would use this to take all the pictures off of my phone. I'll use it to watch movies on our laptop while on trips. I would like it to store my photographs on we take a lot of them so this would help me out . I would store photos and important documents, like tax stuff. I would use it for anything I need to print out, like taxes, pictures and anything else I might need paper copies of. I think I would use it mostly for pics and music. My fan on my computer is going bonkers. I'd use this to get my Word files backed up so they don't get lost. I would use it to back up all my writing. Thank You for the giveaway…would use it at work; I am always informally passing along drafts of various documents to others for their opinion via thumbdrive, to bypass email; also use at home to share photos with extended family.